The fear of fraud, spoofing, phishing, identity theft, and lax website security have a sizeable percentage of consumers wary of using credit cards online. Even having the right website security solution may not be enough to convince consumers to make purchases through your website. 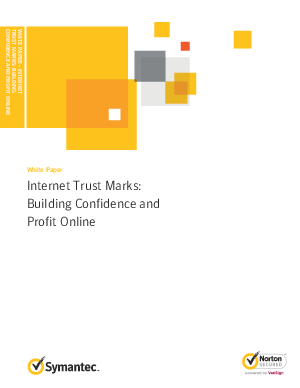 Trust marks are one of the best ways to convey the notion of site security and establish peace of mind with would-be consumers. Download this whitepaper to learn what your organization is missing from not having a trust mark and see what benefits it can bring to your business.